We’re working on a nice little website project for a local business called The Yoga Factory. A little less than 10 minutes from the CBD and right across the space in front of our office, The Yoga Factory is cool boutique yoga studio that provides a comfortable atmosphere for people of all levels to enjoy yoga with quality teachers. I’m not big on yoga but I enjoyed designing this content managed, responsive site for them. Look for it online in the coming weeks. For many people, designers and clients alike, when the topic of content managed websites is raised, WordPress seems to be the name on everyone’s lips. It is probably the most popular of the dominant 3, Drupal, Joomla and WordPress. Not hard to believe since it’s been around for some time and has a huge community of users, an infinite amount of themes, plugins and other stuff that seems to make it the likely choice for many people. In fact, this blog is WordPress. Our very first Blog has launched. Comments Off on Our very first Blog has launched.  With this post I welcome you to the very first blog for the Pictura Creative studio. Our posts will cover a variety of subjects in areas of interest that we each specialise in, including graphic design, web design, development and coding, photography, printing and other things similarly related. We hope that the things we all share will be useful to you all in one way or another. And with that said, we begin.